Yang Chunlin, a laid-off worker from Jiamusi, Heilongjiang Province, is a rights defender best known for initiating the 2007 signature campaign “We Want Human Rights, Not the Olympics.” The campaign gathered as many as 10,000 signatures due in part to Yang’s efforts visiting homes and villages, and even walking up to 50 kilometers a day in Heilongjiang’s harsh winter weather. 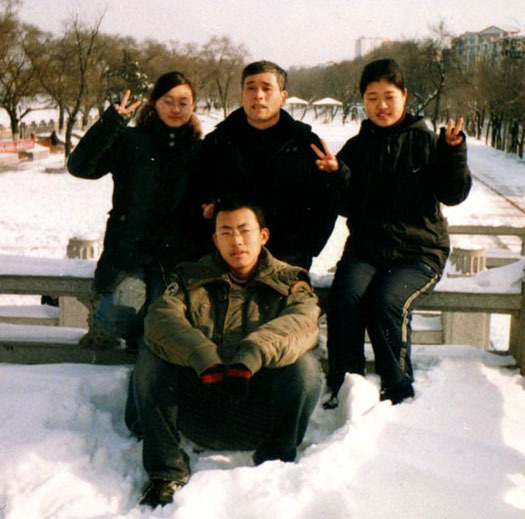 Yuan Xianchen (袁显臣), a legal worker and workers rights activist who helped Yang gather signatures for the campaign, was convicted in 2009 on similar charges; he was released from prison on May 28, 2012, after serving four years. Prior to the signature campaign, Yang was detained four times for participating in a hunger strike organized by Beijing-based rights defense lawyer Gao Zhisheng (高智晟) in 2006. During the same year, he also volunteered to help peasants fight the expropriation of their land in Fujin, Heilongjiang Province. Abide by the specific supervision and administration measures set out by the public security organs.